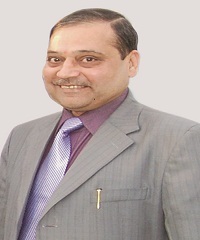 As an undisputed leader in the Biomedical & Natural Sciences education, Dolphin (P.G.) Institute of Biomedical and Natural Sciences, Dehra Dun has played a distinguished role in enhancing academic structure of Uttarakhand state since its inception in the year 2002. The courses offered at Dolphin Institute promise exciting and rewarding opportunities that ensure positive job avenues in various fields. At Dolphin Institute, we emphasize primarily on quality teaching and learning. We also lay stress on highly productive laboratory work in the new areas of bio-medical technologies. We have a vision to deliver the relevant curricular/ programs in consultation with industry and employers, nationally and globally, maintaining a commitment for conducting our courses in the personalized learning environment with a student-centered approach. I extend my best wishes to the upcoming professionals and committed members of Dolphin Institute family………..